Recipe organizer software helps you keep all of your favorite meals in order. Your grandmother's card file full of recipes has been replaced in this day and age with recipe software. While there are many paid recipe software programs available, you can get the same level of service from one of the free options. If you're a busy cook who wants to stay on top of her recipes, software can come in handy. Why Use Free Recipe Organizer Software? Free recipe organizer software can help you keep your recipes in order so you have an easier time choosing what to make. Many people use the same standard set of recipes day in and day out. They find new recipes online or in magazines and plan to use them at a later date. However, normally those new recipes are misplaced and never used. A recipe organizer program allows you to add new recipes to your repertoire quickly and easily. Whenever you find a new recipe, you can instantly enter it into the recipe software program. The next time you want to try something new, you'll have it right at your fingertips. This will help you increase the variety of recipes that you use. Using free recipe organizer downloads can also help you save time. What happens when the time comes to make dinner and you realize you haven't planned anything? With recipe software, you can enter the ingredients that you have on hand and the software will give you recipe options. This is perfect for those times that you don't know what to make. For example, you can type chicken, broccoli and corn into the recipe organizer and get a variety of ideas that include these ingredients. This function can be a handy time save when you haven't planned any dinner and don't know what to make. There are two basic types of recipe organizer downloads: free trials and full programs. Free trials are full programs that are limited in some way. You may be limited by the way that you use the program or for the length that the program. Once your trial is up, you need to purchase the product to get the full features. Here is a list of recipe organizer software programs available for free trial and purchase. Easy Recipe Deluxe - This software has a 30 day free trial. It features categories of recipes and easy to use shopping lists. Cook'n Recipe Organizer - This software is limited to 300 recipes. It features recipes from Betty Crocker, Pillsbury and other major brands. Recipe Organizer Deluxe - This software has easy database templates that help you use the program. Most free recipe software has the same basic features. 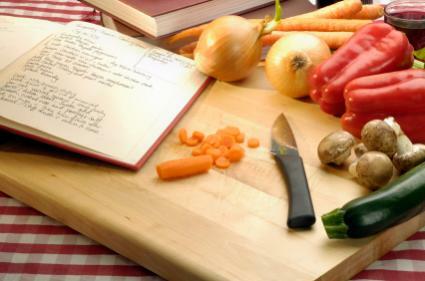 These features help you organize and use your recipes efficiently. Look for the following features when choosing a recipe software program. Organize by cuisine - Your recipe software should let you see all the Italian recipes at once, or all the recipes that use Asian cuisine. Organize by ingredients - Need to get rid of that chicken you bought at the bulk grocery store? Your software should allow you to see all of the chicken recipes at once. View nutritional ingredients - If you're counting calories or just want to know what is going into the food you eat, a recipe software program can help you analyze your recipes. You'll be able to quickly know which choices are the best for your diet and lifestyle. Grocery lists - Many software programs will allow you to select your recipes for the week and then print out a shopping list. Recipe organizers are effective tools for grocery shopping, planning your meals on the go and preserving your family's legacy. Take the time with free trials and samples to find the right software to meet your needs.